Warsaw (AFP) – In March 1968, a student revolt crushed by Poland’s baton-wielding police was used as a pretext for an anti-Semitic purge by the communist regime. It began when the communists banned the 19th-century play “Forefathers’ Eve” by poet Adam Mickiewicz claiming it had anti-Russian elements. Two students who contested the ban were expelled from the University of Warsaw, prompting their peers to stage a demonstration on March 8. Backed by other civil groups, particularly workers unhappy with daily life under communism, the pro-democracy protests spread to other cities. The regime used the student revolt as an excuse to unleash an anti-Semitic campaign that was rooted in a settling of scores inside the Communist Party, which was split into two camps. There was the older generation of communists — many of them Jewish — who had left Poland for Moscow during World War II and only returned in 1945. Meanwhile, a younger generation of communists had stayed put during the war and fought against Germany’s Nazis. Interior minister Mieczyslaw Moczar wanted to rid the party of high-ranking members who had returned from Moscow, so he convinced party leader Wladyslaw Gomulka that the student revolt had been led by children of prominent Jews. Thousands of Polish Jews lost their party membership — and thus their jobs — and had to leave the country. Fifty years on, AFP interviewed four individuals involved in the upheaval. Here are key excerpts. The 71-year-old communist-era dissident and historian was one of the two students expelled from the University of Warsaw. He was also arrested. Today he is the editor-in-chief of Poland’s leading liberal daily Gazeta Wyborcza. “I didn’t expect the frustration of my generation to be so extreme as to generate student protests in every university across Poland,” he said. “What was essential for me in March 1968 was the intellectuals’ revolt against the dictatorship… In Poland to ban Mickiewicz is like banning Shakespeare in Britain,” the influential editor added. 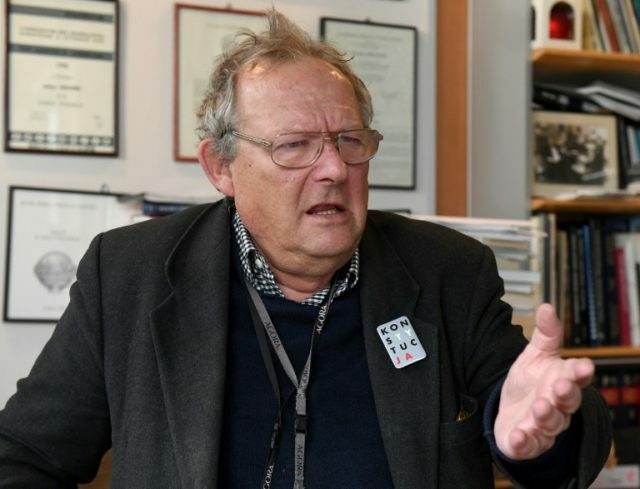 Michnik said the regime chose “the dirtiest weapon, anti-Semitism,” in a bid to legitimise itself. “The riot police entered the university by bus via the main entrance and by the back door and attacked the student gathering I was attending,” Macierewicz said. The historian and former anti-communist dissident, now 69, went on to become a conservative politician and serve as defence minister from late 2015 until January this year. “But you have to realise that March 1968 wasn’t a local event, nor did it only concern students. Most of the people taking part in the anti-communist demonstrations were workers,” he said. “Poland was in crisis at the time. There was an economic crisis, there were supply problems, there were long queues outside stores,” Tejchma said. The 90-year-old was a top member of the central committee of Poland’s communist party in 1968. “The social climate was favourable towards protests against the regime. It only took one incident to set it all off: the banning of ‘Forefathers’ Eve’. The regime saw an anti-Russian element in its staging,” he said. “I left Poland on December 10, 1968, for two reasons. There was the anti-Semitic campaign. My father lost his job at the age of 58 and my parents were left penniless. But what convinced me once and for all was the (Soviet-led) invasion of Czechoslovakia,” Ringer said. Now 69, Ringer emigrated to Sweden as a student but returned to Poland in 1994. He went on to co-found the booming coffee shop chain Green Caffe Nero. “In Poland I took part in the student revolt that was inspired by socialism with a human face. It was like being a virgin again, returning to the roots of socialism, which had been distorted by the governing party,” he said. The student movement of 1968 went on to influence the leaders of the underground Solidarity movement that brought a peaceful end to communism in Poland. “The regional leaders of Solidarity, the organisers of the strikes of August 1980 were often former students chased out of university,” Ringer said.